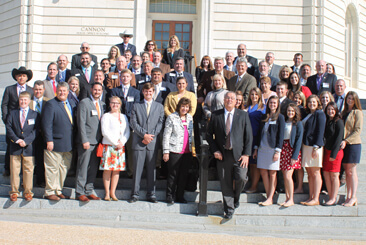 Florida farmers, ranchers and small business owners will speak up for agriculture when they visit with the Florida Congressional delegation in Washington, D.C., May 23-25. More than 80 Farm Bureau members from across the Sunshine State will travel to the nation’s capital to discuss various federal policies that affect agriculture and rural land. The agenda includes a series of informal meetings on foreign trade, tax issues and immigration reform. Along with Capitol Hill meetings, Florida members will attend a Congressional training session at the Ford House Office Building, a Taste of Florida Agriculture reception at the Florida House and meet with Secretary of Agriculture Sonny Perdue.